Issues of inclusiveness and cultural identity are at the center of contemporary debates in fields from politics to entertainment. Many educators have been accused of succumbing to “political correctness” for teaching a multicultural curriculum. However, Western philosophers overwhelmingly insist on teaching only the philosophical traditions that grow out of Greece and Rome. Are they right to dismiss the thought of China, India, Africa, and the Indigenous People of the Americas as “not really philosophy?” No! 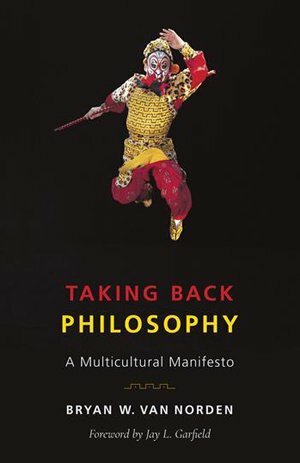 In Taking Back Philosophy: A Multicultural Manifesto, I show that contemporary Western philosophers are wrong to ignore philosophy that is outside of the Anglo-European canon. Western philosophers didn’t always have such a narrow-minded perspective. During the early Enlightenment (17th century), European philosophers took for granted that philosophy originated in either India or Africa, not Greece. When the sayings of Confucius were first translated into a European language, he was hailed as a great philosopher. However, influential philosophers like Immanuel Kant (1724-1804) argued that the racial characteristics of Chinese, Indians, Africans, and Indigenous Americans made them incapable of producing philosophy. “The race of the whites contains all talents and motives in itself,” Kant proclaimed. Although almost no contemporary philosopher would explicitly endorse such views, their influence lingers in structural racism. The structural racism of philosophy is evident in the fact that only 15% of doctoral programs in philosophy in the US teach any philosophy outside the Anglo-European mainstream. Contrast this with China, where every philosophy department teaches both Chinese and Western philosophy. A further indication of structural racism is the shocking willingness of leading philosophers to state that there is no philosophy outside the West—even when they admit that they have never read any of it! Readers will reasonably want evidence that there is vibrant philosophy outside the Anglo-European mainstream. I provide detailed but easily understandable examples of how Buddhist philosophers can be brought into dialogue with the seminal French philosopher Rene Descartes (1596-1650) on the nature of the self, and how Confucian philosophers can productively engage with Western political philosophers like Thomas Hobbes (1588-1679). My book is not just about academic curriculum, though. It shows how these issues tie into broader topics in politics and culture. I discuss how Trump’s desire to build a literal wall between the US and Mexico is part of a larger political movement to build metaphorical walls between races, religions, and cultures. Something similar is happening in China, where President Xi Jinping has appropriated Confucianism as the basis for a nationalistic revival of “Chineseness.” (This is one of the reasons we in the US need to learn about what Confucianism is!) US philosophers, including ones who consider themselves politically progressive, are unwittingly allying themselves with these same forces of ethnocentrism and xenophobia that they abhor in politics. Finally, I address the anti-intellectualism that claims philosophy is a waste of time. I illustrate with numerous examples the contributions that philosophy has made to the development of civilization. 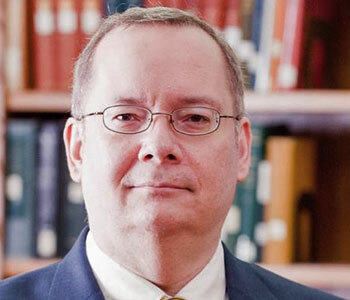 I also show that the study of philosophy contributes significantly to solid vocational goals. Finally, I argue that, in an era of “fake news,” we need the skills of careful reasoning and civil argumentation more than ever before.